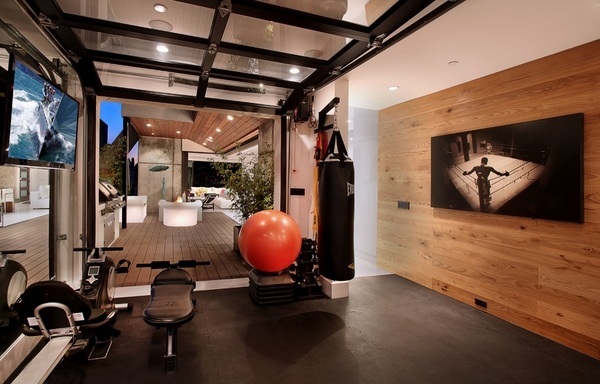 Garage gym design ideas will be very helpful to those who are fans of a healthy lifestyle. 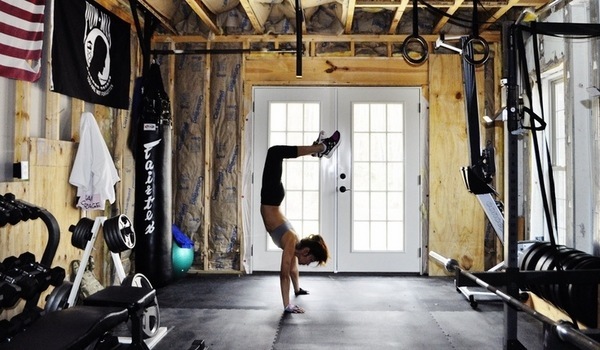 To many people a home gym is not a passing fancy idea but a necessity. 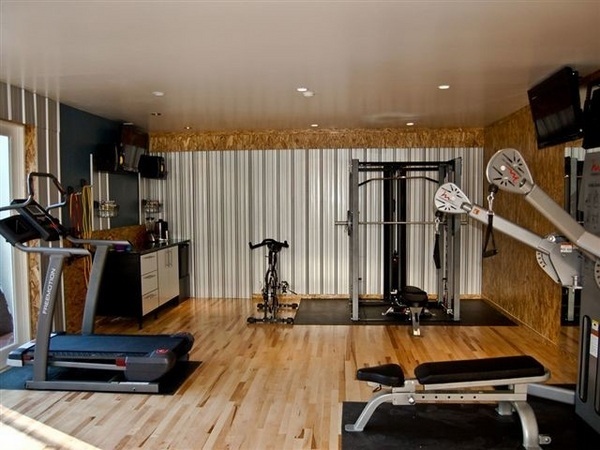 Having a home gym provides the great advantage of saving time and money. 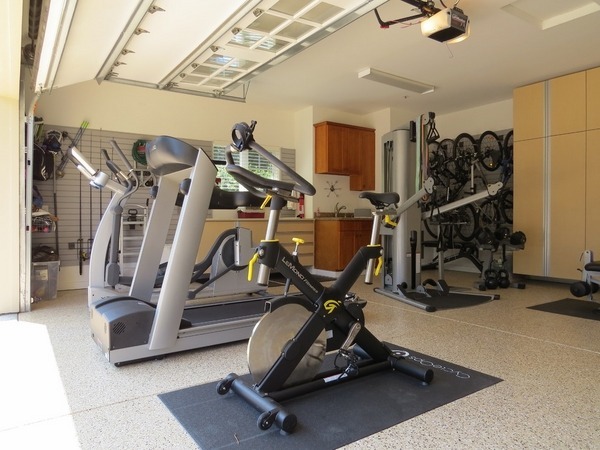 Choosing the right place for a home gym is a challenge as not many people have enough free space in the house. 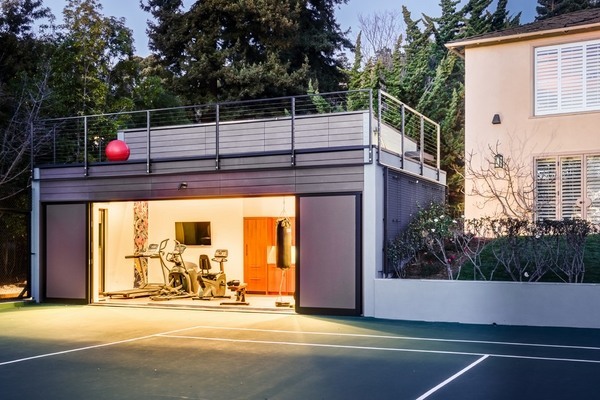 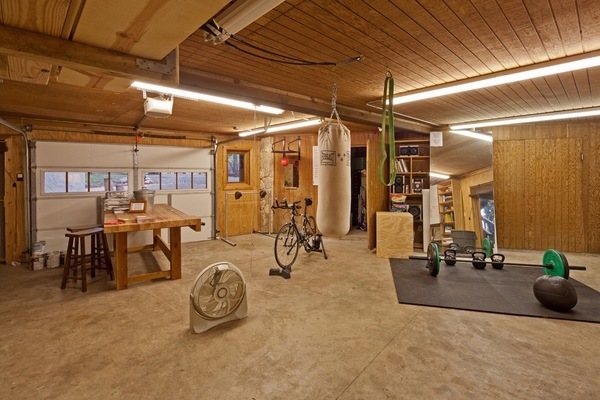 Some homeowners prefer to remodel the attic or the basement but we have selected some excellent garage gym design ideas to show you how you can utilize the space in the best possible way. 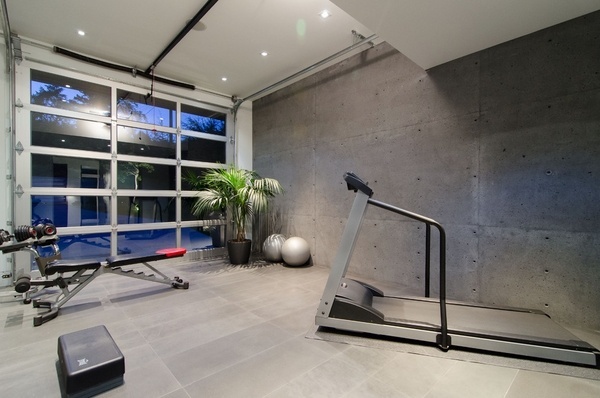 It is always advisable to separate the home gym in a room or area, but the minimum space that you need is about ten square meters. 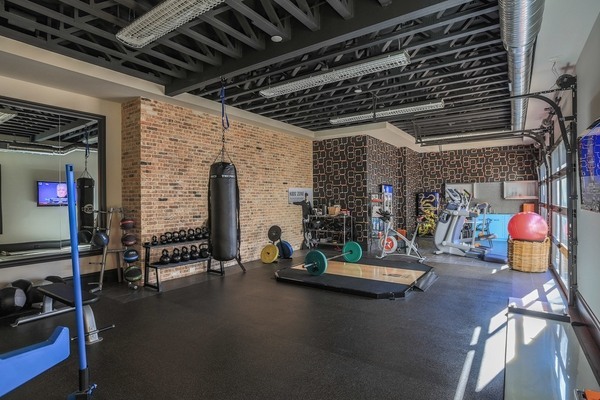 The area has to be well ventilated and have windows which will allow both fresh air and natural light in the room otherwise there is a danger that you will experience great discomfort while training, and you will get tired more quickly and your sports enthusiasm is very likely to disappear. 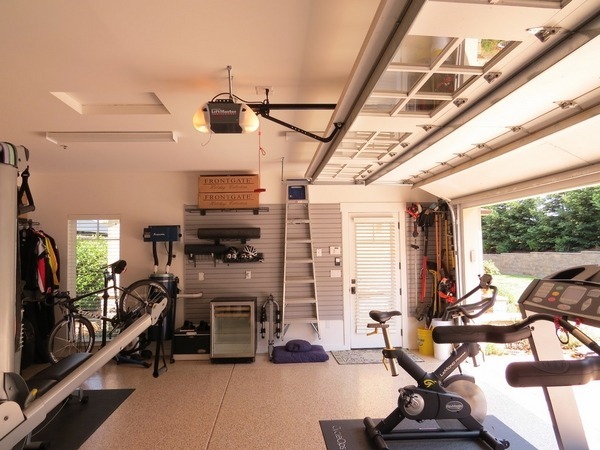 Of course, a garage gym is not big enough to accommodate the fitness equipment of a sports center, but you can still have your favorite ones. 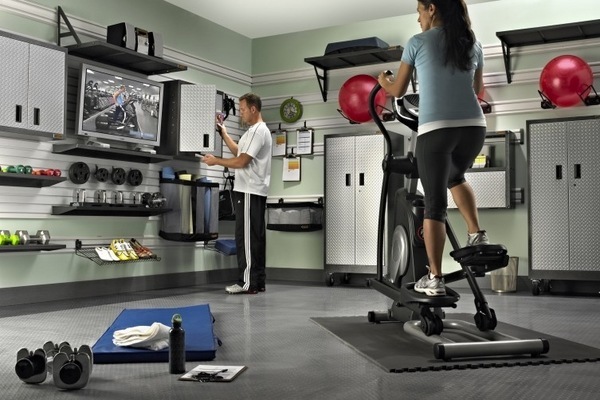 Once you have decided to equip a home gym in the garage, there is a number of things you need to take into consideration. 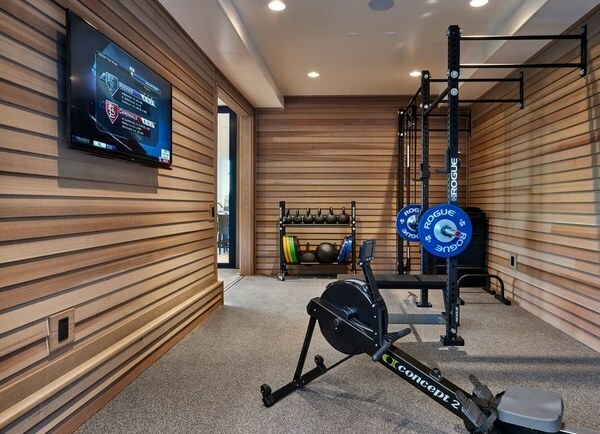 One of the major decisions is whether you will use the garage only as a gym or you will combine different activities – for example a home gym and a home office. 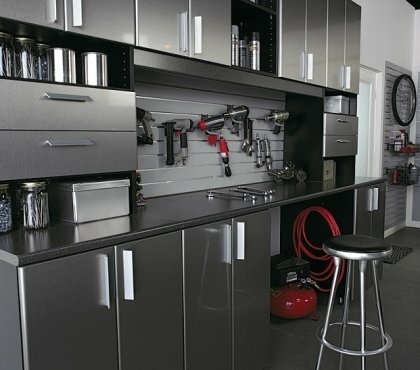 Sometimes the garage is big enough to provide space for your vehicle, garage storage cabinets and fitness equipment. 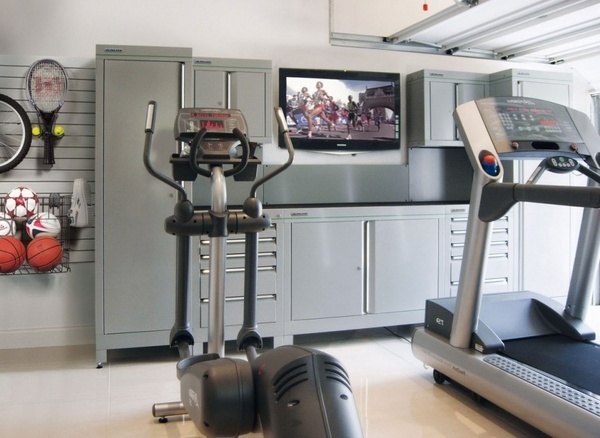 Do you want to remodel the garage into a contemporary home gym or you do not wish to invest a lot of money into transformation? 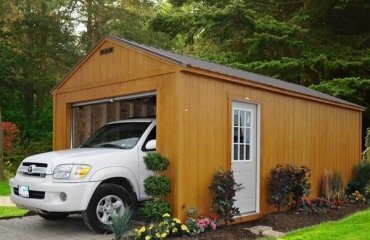 Despite the fact that this may seem like irrelevant questions, some preliminary planning will save you from headaches on a later stage. 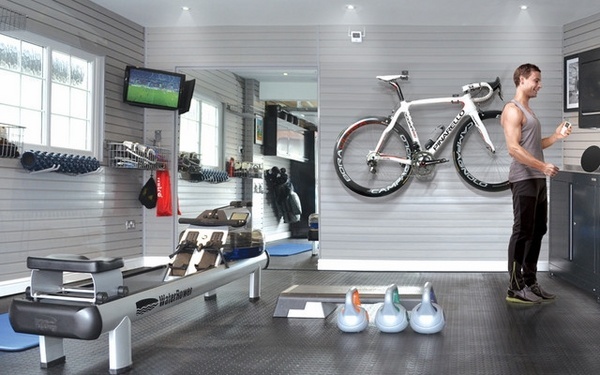 Think of the walls – do you want to have mirrors, can you install shelves for various equipment, sportswear, etc. 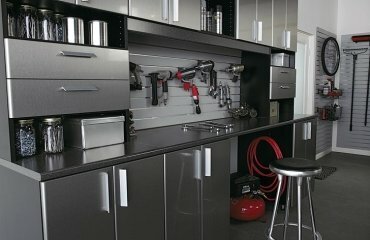 Is there an opportunity to mount a TV on the wall? 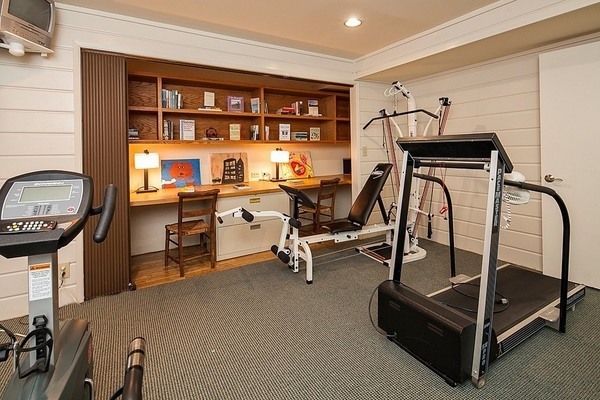 Consider suitable lighting for practicing in the evening. 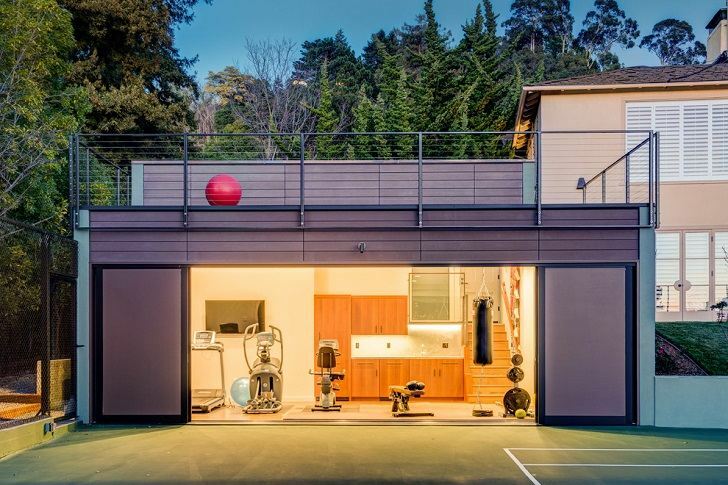 Experts advise that for sports activities overhead lighting works best. 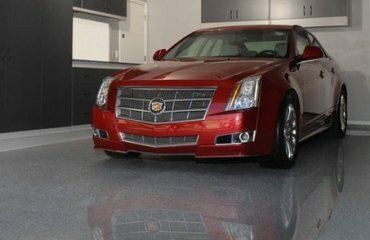 Another important element is the flooring. 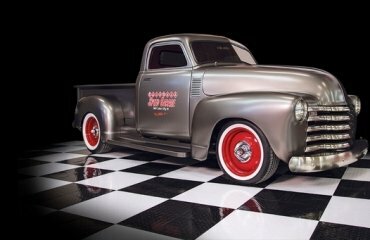 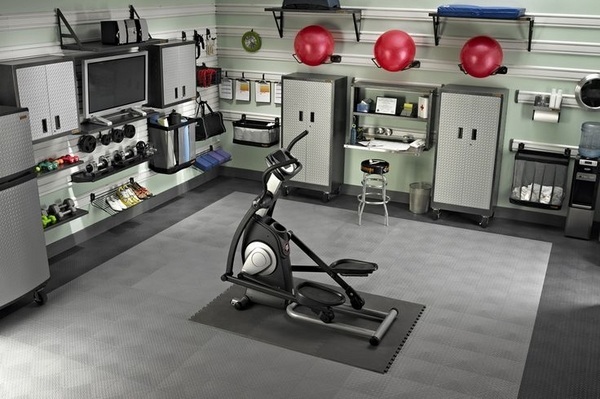 There are many and different garage gym design ideas and in the gallery below you will notice that you can have a partial flooring but it is best if you chose an appropriate flooring – rubber, carpet, hardwood, cork, vinyl, laminate, etc. 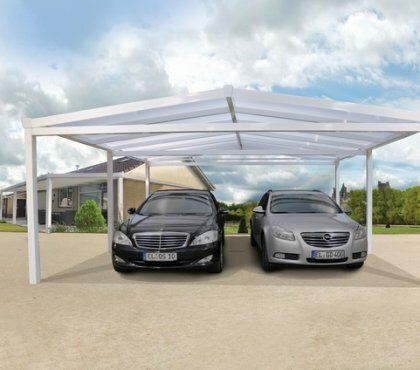 Each of those has its advantages so it will depend on the budget, the size of the garage and the personal preferences which one you will choose. 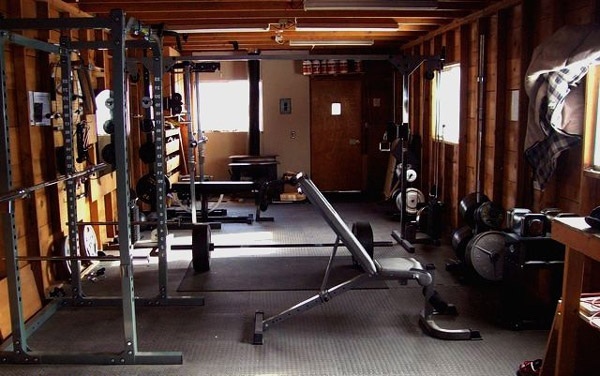 Think of what equipment you want to have in the garage gym, is there enough space for it, read the requirements of the manufacturer to have a good idea for the safety requirements. 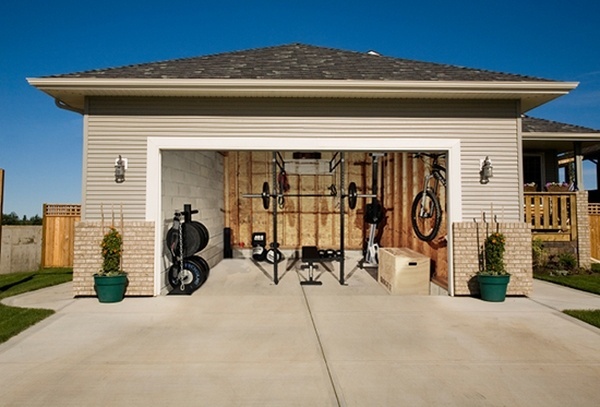 These simple guidelines for the organization of a garage gym will certainly help you to create a comfortable and reliable home gym.